Riva-Rocci sphygmomanometer modified by Martin with wooden case, c.1905, English. Whole view of object only, no box. 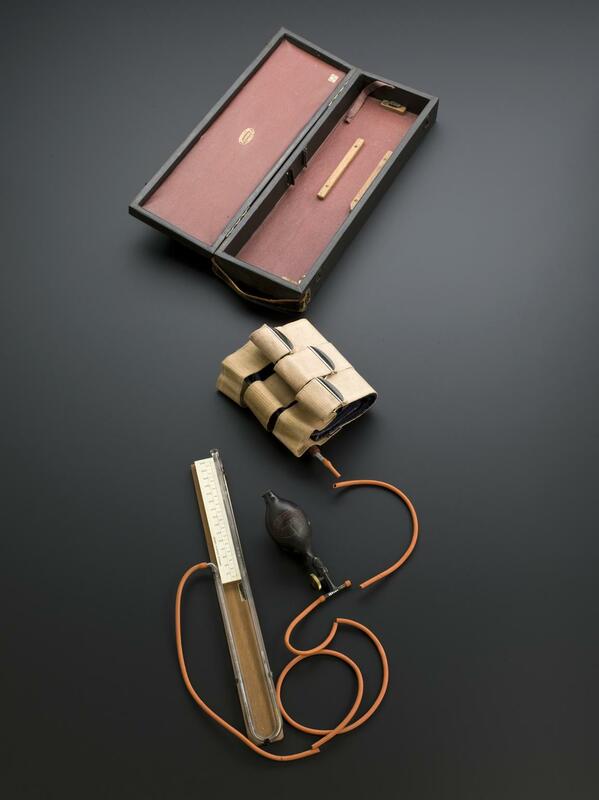 Riva-Rocci sphygmomanometer, with wooden case, made by Hawksley and Sons Limited, London, England, c. 1905. Modified by Sir Charles Martin. 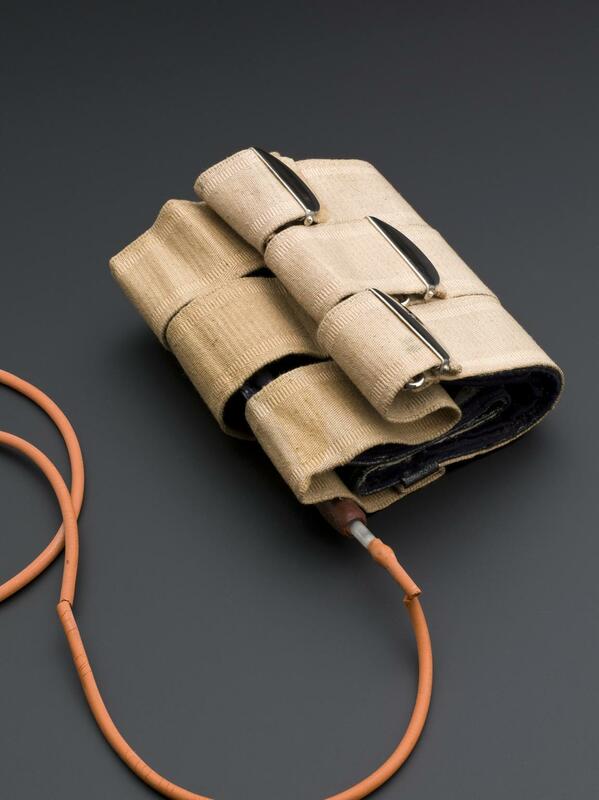 Imagine you're a doctor taking a patient's pulse. How can you discuss the result with colleagues when it’s difficult to communicate your impressions in words? Is the pulse regular or irregular; is the pressure high or low? How can you make sure that you are both talking about the same thing? It is a problem that challenged physicians for a very long time. One early attempt to quantify things was made by the Greek doctor Herophilus who invented a system of musical notation to record a patient's pulse and a portable water-clock for measuring it. While centuries later, British physician Sir John Floyer (1649-1734) introduced the second hand on watches as a means to time the pulse more accurately. 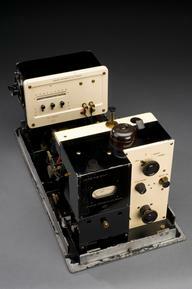 In the 1800s, physicians borrowed new scientific laboratory techniques as a means of comparing diagnoses. 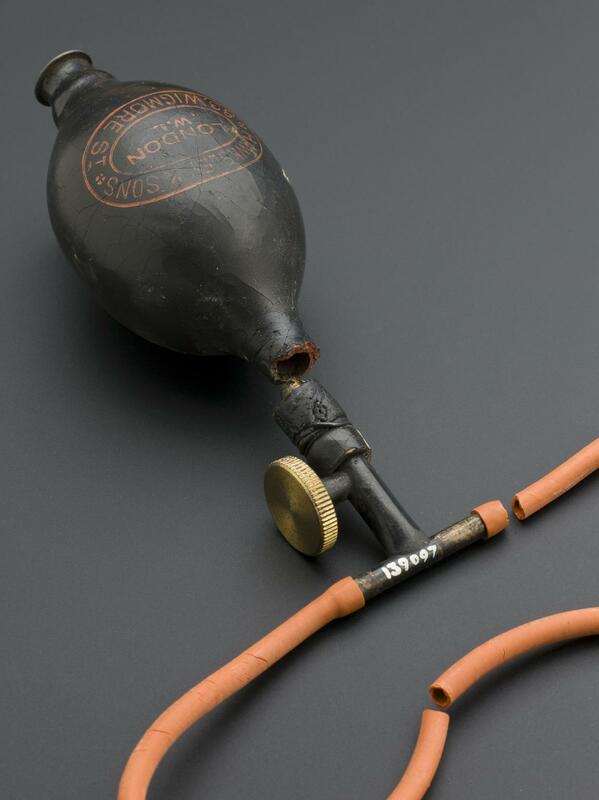 They created instruments which could translate a doctor's individual sensation into numbers or even visual traces. In 1831 the French physician Julius Hèrisson developed an instrument which allowed the sharing of pulse observations – the sphygmomanometer. 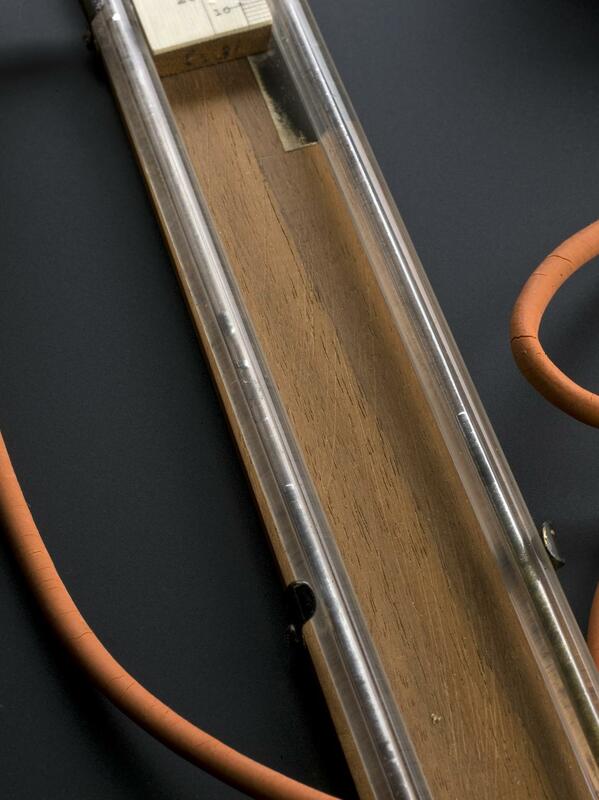 This instrument visualised the pulse by means of the rising and falling of a mercury column. 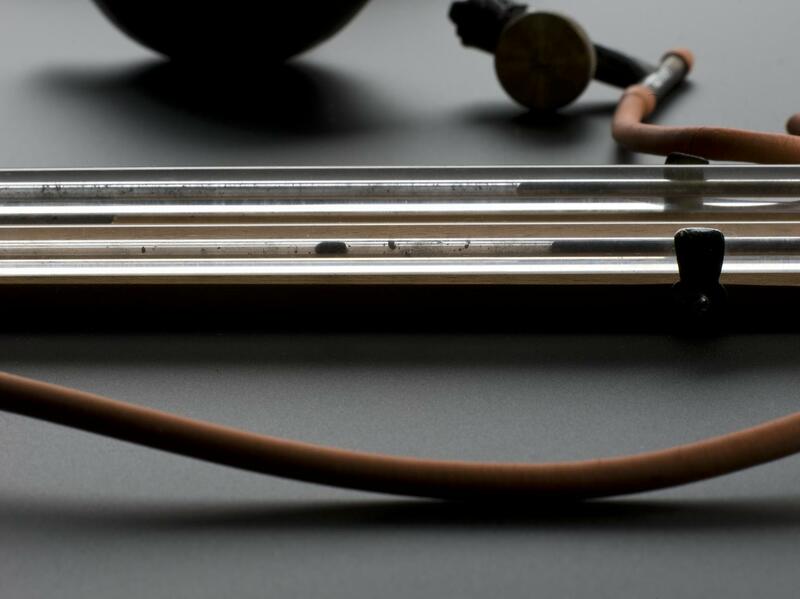 The technology was improved over the course of the 1800s and this design dates from the turn of the 20th of century. 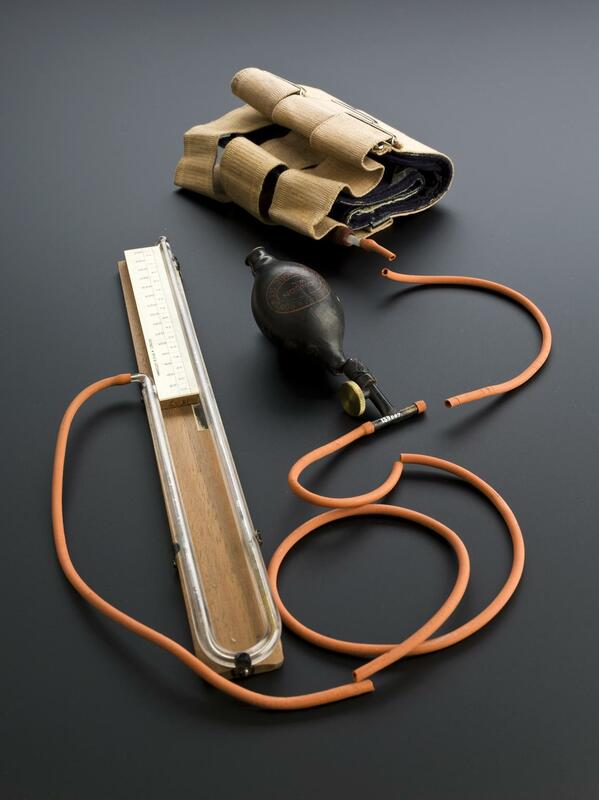 It is a Riva-Rocci sphygmomanometer, a variation on the original prototype developed by an Italian doctor, Scipione Riva-Rocci (1863-1937). 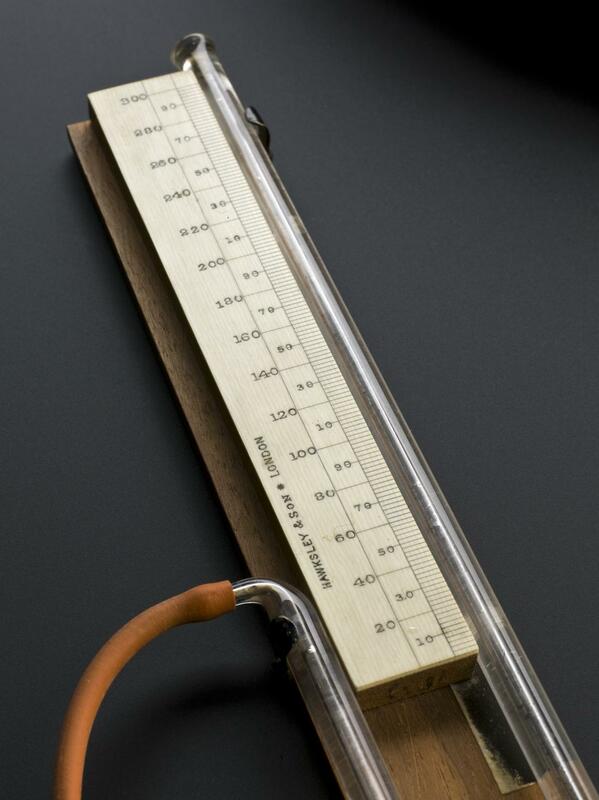 It became the standard model for measuring blood pressure, still seen in doctor’s surgeries today. Its familiar small rubber pump and inflatable upper arm cuff having bemused, if not alarmed, generations of schoolchildren. But quick to set up and easy to use, this ingenious device has allowed doctors to record vital information about their patients – in a form that is universally understood by their colleagues.